Crazy Rewards feature numerous casino brands covering many languages including Swedish, Finnish and Norwegian. Crazy Rewards is the casino and scratch card affiliate program for the following brands: Slots & Games, CrazyScratch, NettiArpa, Mr Spil, NettiCasino, VikingSlots and Lyckoskrapet. While all of their brands offer scratch cards and slots, CrazyScratch, Lyckoskrapet and Nettiarpa are more focused on scratch cards and the rest of the brands are more slots focused. These brands target UK, Australia, Finland, Sweden, Norway and Denmark. The countries excluded from creating real money accounts are Turkey, Cyprus, Greece, Italy, France and Spain. Affiliates have a choice of revenue share or Cost Per Acquisition model (cpa). 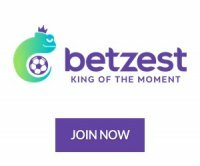 The revenue share commission rates start at 30% and climb to 45% while the CPA rates start at 40€ and go up to 75€ which is based on the number of depositing players you have sent. Affiliates can get their commissions paid with PayPal, Skrill - Moneybookers, or Bank Wire. The backend is powered by Income Access and contains the current month's statistics showing impressions, clicks, registrations, new depositing accounts and total commissions. The Marketing Tools section has links and banners for all the different brands and also featured in many languages. The Reports section lists payment, account and referral reports. The My Account section is where you can update your contact information and change your payment preferences which currently list Bank wire, PayPal and Skrill - Moneybookers as options. This affiliate program is something any slots, casino or scratchcard affiliates could appreciate and promote their brands effectively. The main focus is on the scratchcard games but for casino players interested in scratchcards, they have everything they need in one site. The commission rates are competitive with choices of revenue share or CPA. Best of all, affiliate payments can be made with PayPal.